Cavalier Window Cleaning & Power Washing specializes in customized homes, difficult to get to windows, historical properties and estates. We also do commercial window cleaning of 1-6 stories. Residential power washing includes siding, decks, patios, walkways, pool surrounds and outdoor furniture. Residential and commercial gutter cleaning is done with by-hand removal and with disposal of debris. For the best in Window Cleaning & Power Washing Services; be sure and take advantage of our services. We offer high-quality year round service that’s detailed and meticulous. Our crew is respectful and friendly as they will take precautionary measures to ensure that no damages are done to the home. You’ll never have to worry about who you hired ever again. Not only will we take care of your home but also your business too. It’s our goal to provide you with services that include your office and local business. We can clean your windows as we’re equipped to take on up to six stories. 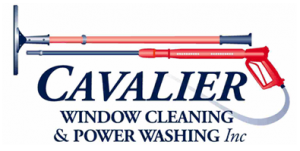 Cavalier Window Cleaning & Power Washing respond very quickly to your needs. 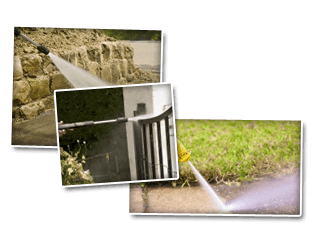 No matter what they are; if they are in relation to what we do, you’ll be well taken care of in Cavalier Window Cleaning & Power Washing. And for your safety; we’re licensed and insured. For a cleaning crew that will respect your home, take their time getting everything cleaned to perfection; you can always trust Cavalier Window Cleaning & Power Washing. We are members of the PWA (power washers of North America), IWCA (international window cleaning association), and SWAM (small, woman-owned and minority). You can come to us for any and all of your commercial and residential cleaning needs. Our window cleaning services blows all others away. We’re the real deal when it comes to exterior cleaning and power washing. Do You Know These 3 Benefits of Cleaning? If you are looking for more information about Cavalier Window Cleaning & Power Washing then please call 434-823-1737 or 540-910-1434 or complete our online request form.